"Patriotic" -- as defined, is expressing devotion to, or vigorous support for one's country. 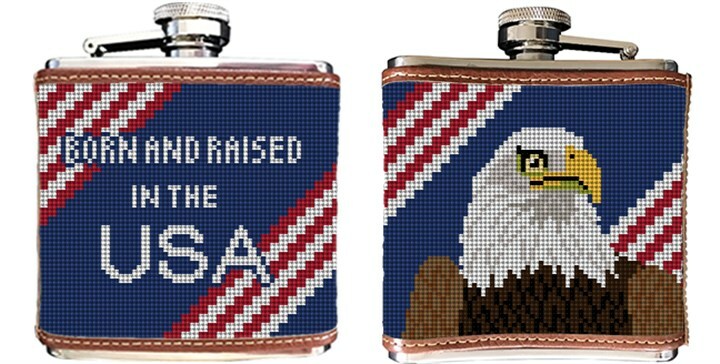 We have designed a fun Eagle needlepoint flask canvas for you to create a piece of your own patriotic pride. Feel free to exchange an image for a monogram.